There are a number of wireless charging systems for mobile devices on the market, most of which require some sort of base station or charging mat. Start-up uBeam teased us with a new way of doing it some years ago, and is now ready with a working prototype. Using ultrasound, the company's new system can charge a device while it is still in your pocket or being used. A small charging station placed in a room converts power for smartphones into ultrasound. The sound waves are then captured by a receiver on-board near by mobile devices and converted back into usable power. It does have quite an impressive range, but it will not work through walls the way WiFi does, so multiple base stations would be required for complete coverage throughout a home or workplace. However, despite some of its limitations and its somewhat early stage of development, uBeam feels the tech will become as readily available and popular as WiFi. The co-founder of uBeam, Meredith Perry (above), feels the tech could have a profound effect on the way manufacturers design mobile devices moving forward. 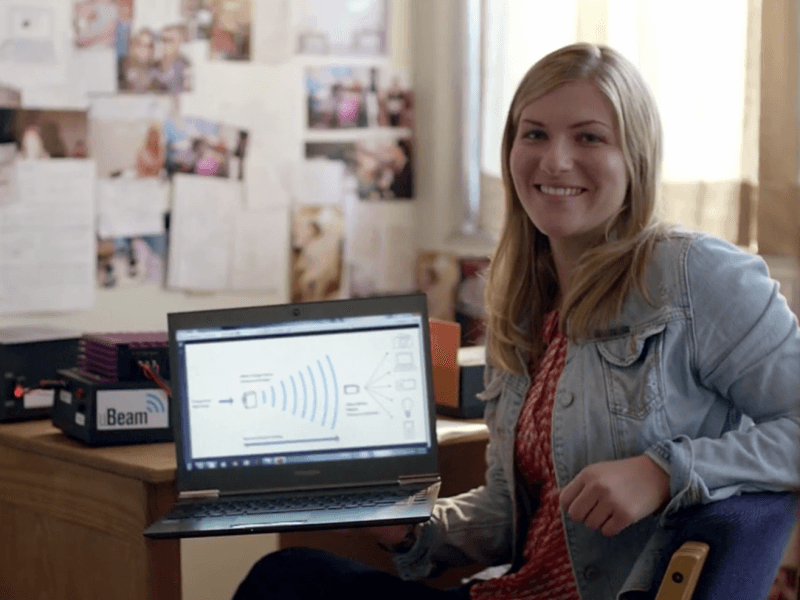 She suggests a system like uBeam's could allow for much smaller and less powerful batteries considering the ultrasound would be constantly charging devices without the user even needing to pay attention. At this point there is no specifics on when uBeam equipped devices could be made commercially available.